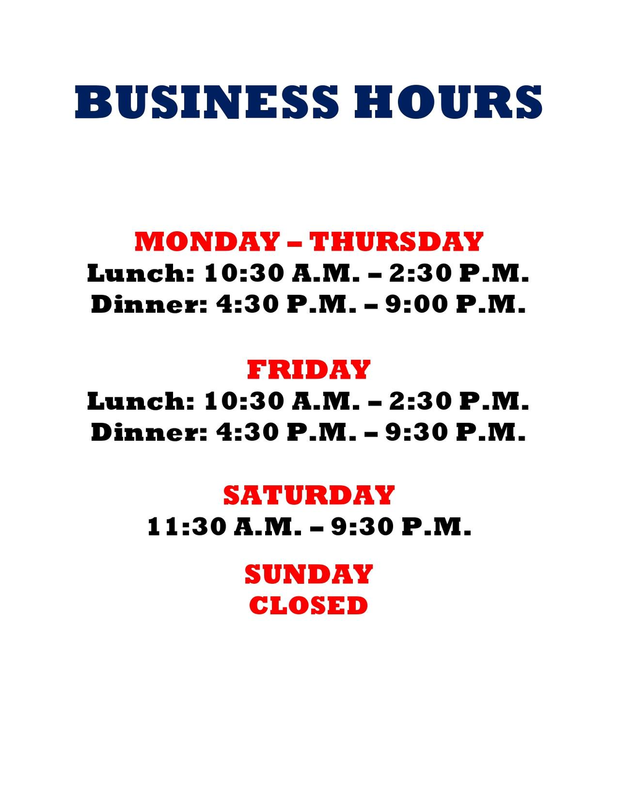 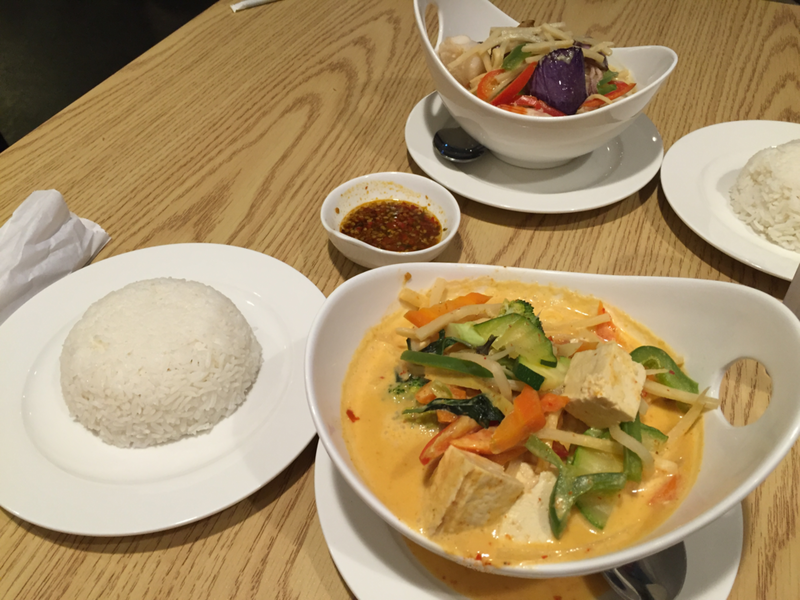 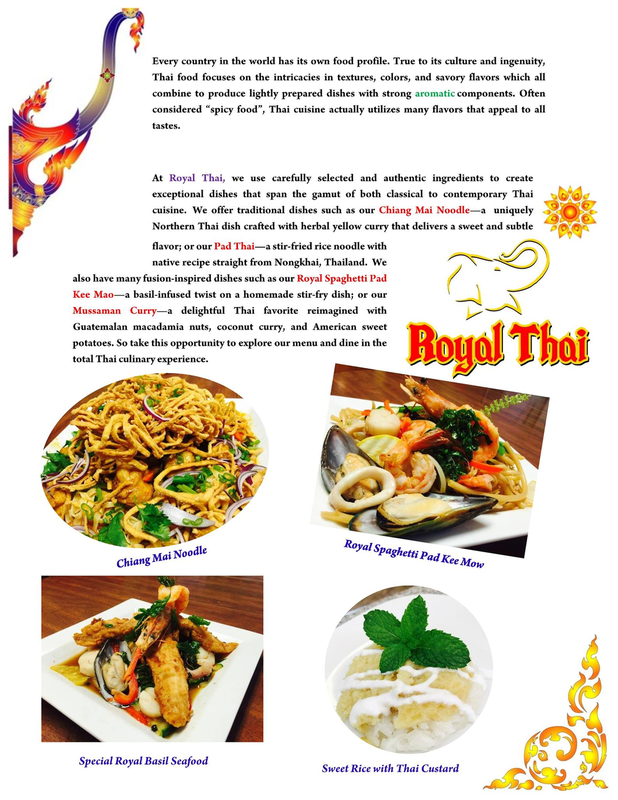 Open and proudly serving lunch and dinner six days per week, Monday to Saturday, Royal Thai Bistreaux is a new must-try restaurant in Harahan. 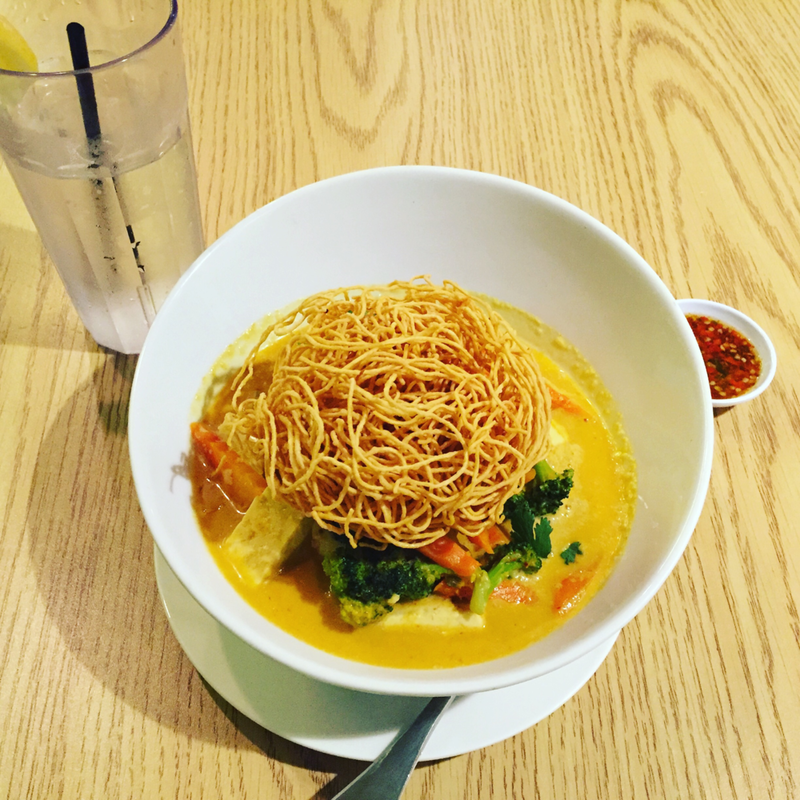 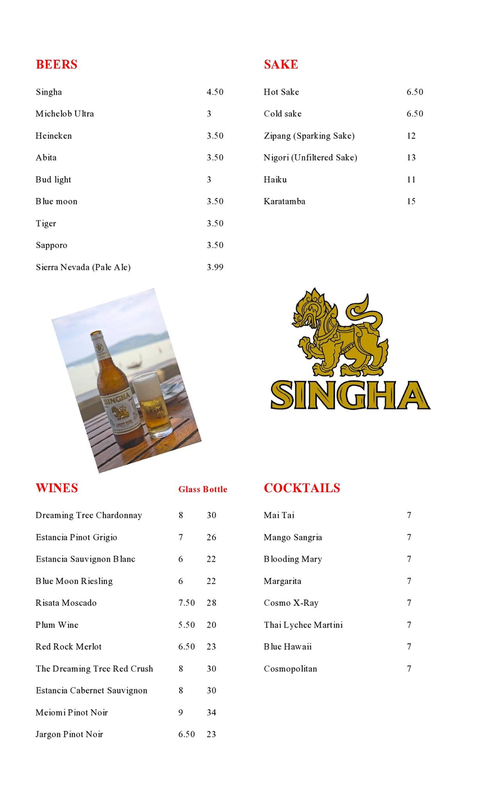 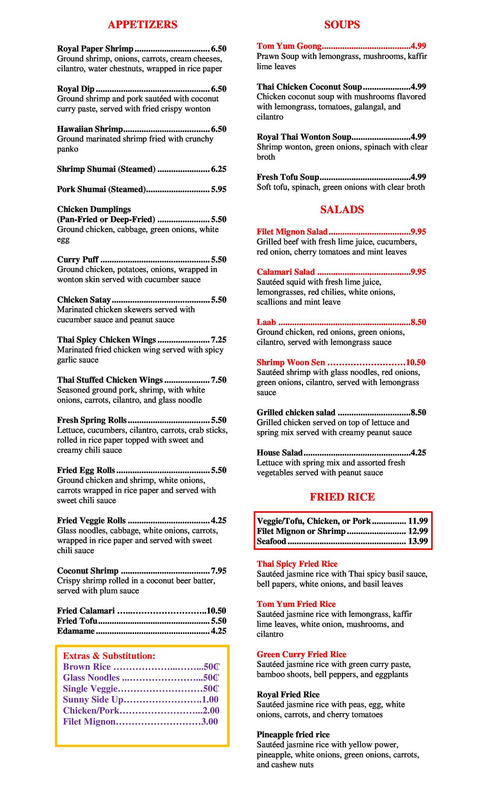 All of their menu items taste of fresh ingredients filled with lovable, Thai cuisine flavor and some southern style hospitality on top. 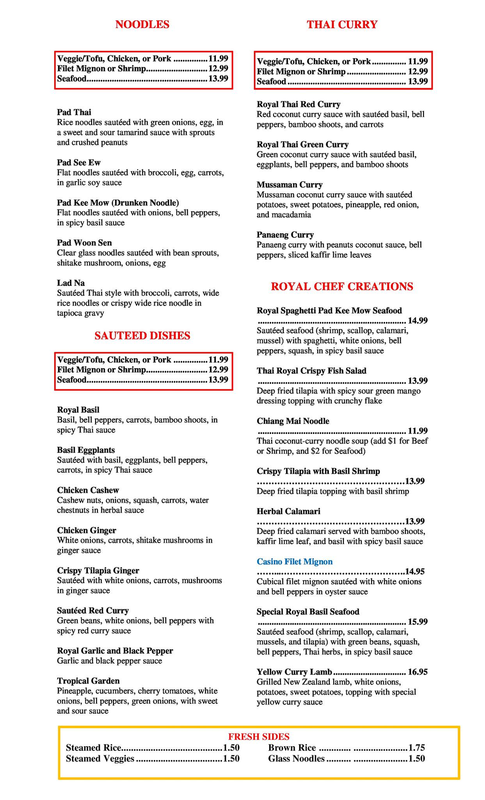 Whether you're paying them a visit during the work week for lunch (lunch special menu prices from $7.99 to $12.95) or you're doing Thai for dinner, you can best bet you will enjoy your meal along with the service at Royal Thai. 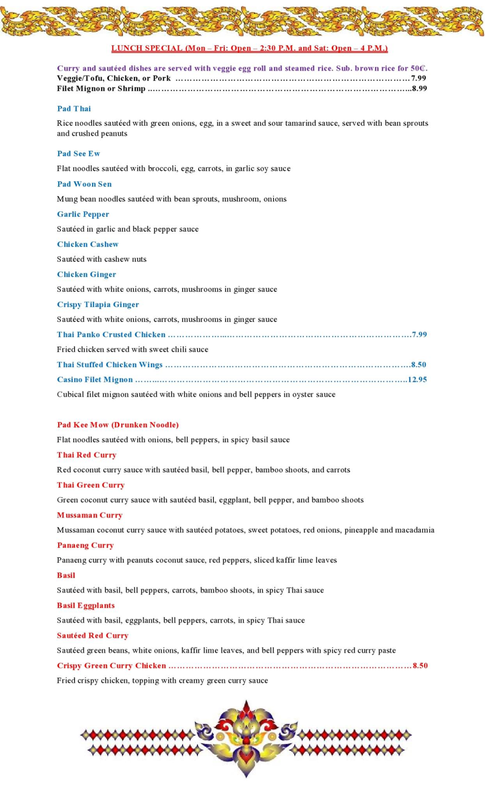 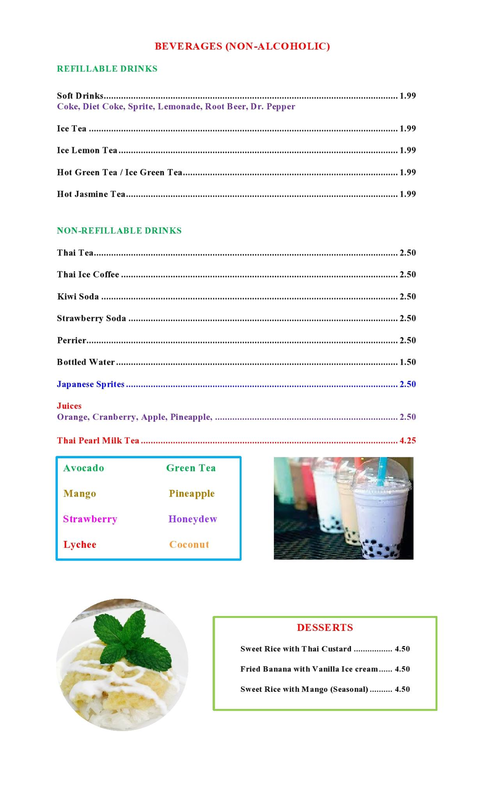 Vegetarian and vegan menu options available, too.